Sunzu Garden is more magical than the “Meadow,” though it shares in similar traits, qualities and lessons. Here you can meet with the fairy kingdom, trolls, elfs, dwarfs, unicorns, griffins, dragons, princes, princesses. It is not a scary place like in fairy tales, it is a place of cooperation, living and working together, getting along with others, even though they may not share your background or even your DNA. 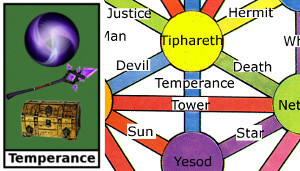 Sunzu Garden is located between Yesod and Tiphareth on the Tree of Life. The energy from Yesod gives the place its fairly like quality, and the energy of Tiphareth adds the healing dimension. Because of the way these two energies meet here, the Sunzu Garden is an alluring, playful place and state of being. It is meant to keep you warm and secure and hold you here until your wounds are all healed and time has washed away the harshness of the past. The trick with the Sunzu Garden is not getting there but leaving and how long to stay. The energies in this place are so perfect and so calming that spending eternity here is not such a bad thing. Like the Meadow, this place is a rest stop along the way up the Tree of Life to gain strength, resolve, and ready your journey forward, onward and upward. You will find this place fun and friendly and the community of creatures and beings here very refreshing. Almost any creature you meet here can be a guide to help you. What kind of creature you meet is also a symbol of an energy you may need to take back with you to help you recover and rejuvenate from your ordeal in the Tomb. 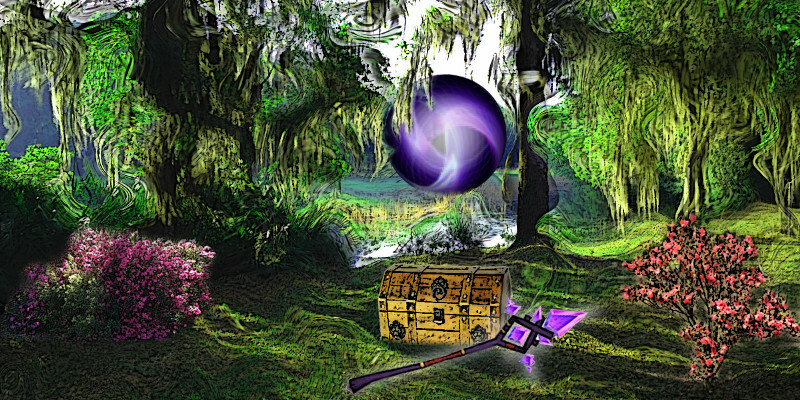 The "Chest of Surprises" here will give you a different magical tool each time you visit. Open it up and take it. This tool will help you in your physical life in some way on some problem you are trying to solve. It is possible to get the same tool twice or one you already have. If you do, it is sign that the tool is still useful and needed in your life at this time. If you swim into the glade to the “Orb of Dreams,” you can enter it and see what your heart desires most in life. This is the thing that is driving your forward from day to day. It can be helpful to know what that is because often we ourselves do not know the underlying driving force that keeps us running forward in life. The “Staff of Thought” is here to symbolize the magical power of imagination to create what you want in your life. Hopefully those creations will be beautiful and harmonious, like the surroundings here in Sunzu Garden. The one time gift here is the power of your imagination. Your world is built on your ability to imagine and dream. This gift will help you to tap into this ability and use it more easily in the creation of your daily life. Magic and wonder is everywhere! Learn how to tap into it using your imagination." One time Gift: Imagination upgrade! 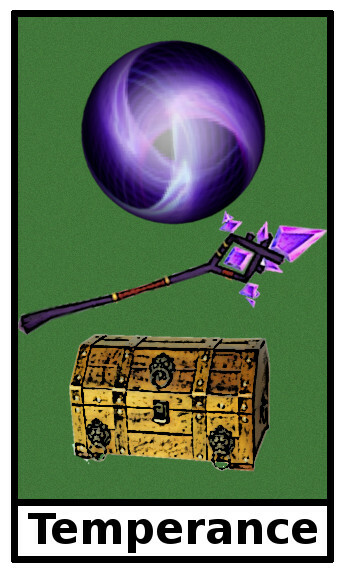 Numerious Magical tools received from the "Chest of Surprise". "Staff of Thought" to help you use imagination to create your world! Visit the “Meadow,” alternate Temperance card location.